“Three months. It takes three months for a newly born ostrich to fully adapt to the environment. 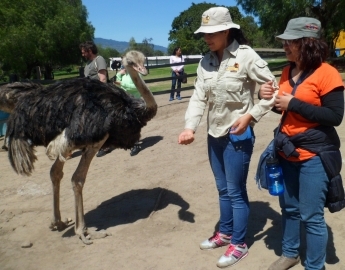 Within that time, they are taught to adjust with the weather, food, and relationships (especially for domesticated ostrich),” a tour guide explained during our visit to an ostrich farm outside Bogotá. Woosh! (Colombian expression of wow) I am in Colombia for almost four months now, a few more weeks from today. Just like an ostrich, being in a new place, with different culture, tradition, faces, food, and a lot more, it took sometime for me to really absorb everything. I remember some mornings when I wake up, it felt like I am back in the Philippines and then a minute after, reality strikes—I’m in Colombia! I miss the Philippines. Although adjusting and adapting were two things that were easy for me to do, I just have those times that I sit back and reflect how everything is at home. Phil. 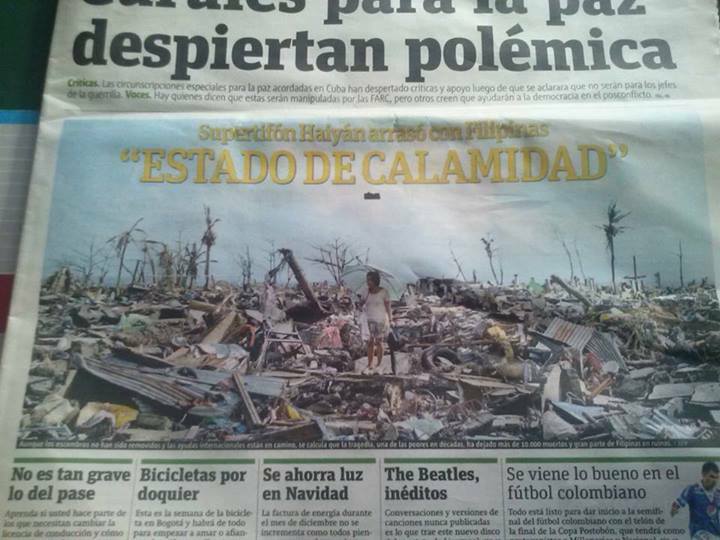 calamity made it headline in Col.
One of the characteristics of an ostrich is bravery. They don’t bury their heads when they smell danger (it’s a myth). In fact, they face reality and they do whatever they can to be strong. 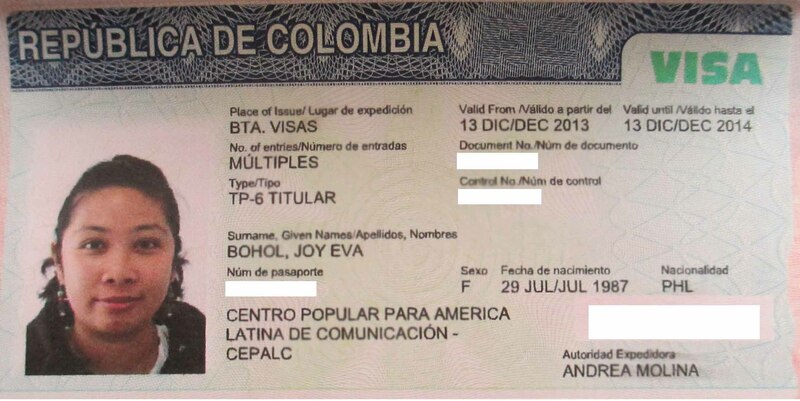 After two attempts of applying for a Volunteer’s Visa in Colombia, I finally got it on my second visit! Two weeks before the expiration of my tourist permit, I thought I would have to leave the country for a month and come back to renew my permit. I was so prepared for that possibility especially when I got rejected first time. God takes prayer seriously. When the officer at the Ministry of Foreign Affairs told me that I didn’t qualify to get a visa, instead of disappointment, I was not surprised at all and felt like leaping for joy. Earlier that time I prayed to spend my Christmas outside Colombia. It was a very ambitious dream but nothing is impossible, right? I just thought that it would be fun going to a different country (perhaps other countries in Latin America). And I miss flying, too. So, I was hoping that my prayer is finally answered! But while I was discussing this to my area supervisors, they were worried that I might not have the assurance of a tourist permit renewal upon returning to the country, because it might look suspicious. Then I started to worry. Only four days to go before I’ll be an illegal alien in Colombia, I went back to the Ministry of Foreign Affairs the second time when all the needed additional papers came. While sitting patiently at the waiting lounge, seeing people come and go for almost five hours, negative thoughts came flashing in my head. “Am I denied again? What’s taking them so long?” Finally, the officer walked towards me with a warm expression on his face. “You’re visa application has been approved.” I followed him to sign more documents, I asked him his name to thank him. “My name is Abel.” I told him I praise God that “my son” (based on the Book of Genesis in the Bible, Eva-the Spanish translation of Eve-is the mother of Abel and Cain) is an instrument to this blessing! In November, barely two months of my stay here, I was asked to lead a morning devotion IN SPANISH during an ecumenical gathering on Women’s Week. 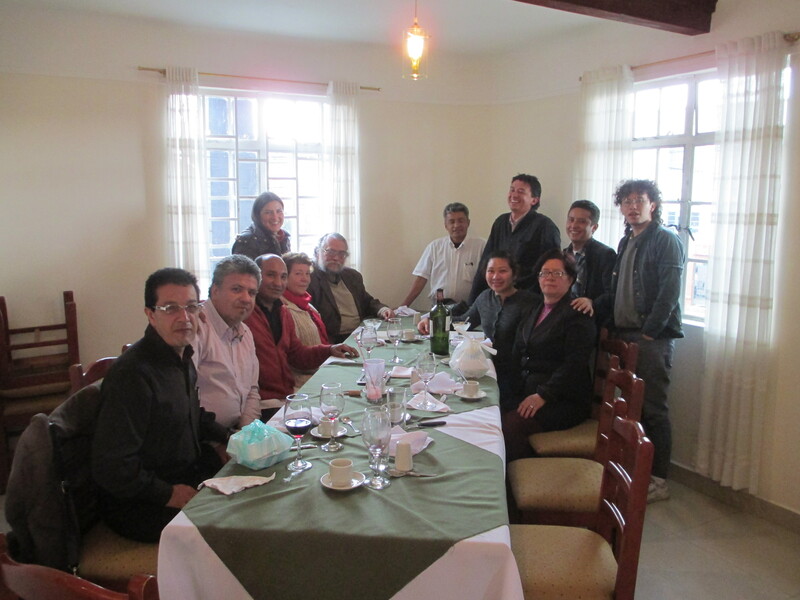 I was still in my 2nd week of formal Spanish study and yet I was entrusted to lead the devotion in Spanish. With the leading of the Holy Spirit and the help of amazing colleagues and language professor, I was able to create a full script of the worship and I praise God for providing me a friend (Angela) for helping me nail it! Also during the same week, I was told to lead a small group discussion on Violence Against Women among young people in a town outside Bogotá. Again, I was both excited and challenged that they gave me so much confidence to do it. I prepared well with my script ready but as we arrived on the area, only four people showed up. The workshop turned to a TV interview about issues on Women’s Rights. So, instead of leading a focused group, I ended up being interviewed of the Philippine context. Blessedly, I prepared a script about it and was able to share in local television. From this dance I was tasked to teach dance steps for kids at another outreach area outside the city for the Christmas Novena (nine days before Christmas day). This year when school opens, I will be teaching dance class to an elementary school, owned by one of the partners of CEPALC. I will also start a dance workshop among the young people in the Methodist Church here. As a Young Adult in Missionary Service under the General Board of Global Ministries, I would love to thank all those who gave for my Advance number (3021829) during the UMC Giving Tuesday on December 3. I am so overwhelmed to see my current support update, which was from $50 to $500. Thank you for sharing your financial blessings, which means $2,000.00 more to go for my first year of service! The gift online was an early Christmas gift! When I finally got my visa, the next thing I had to think about was where to spend my Christmas and New Year. I sure have friends but I didn’t receive any invitations yet. But as our working days were about to end, invitations came flooding in that I had a difficulty setting my schedule well. 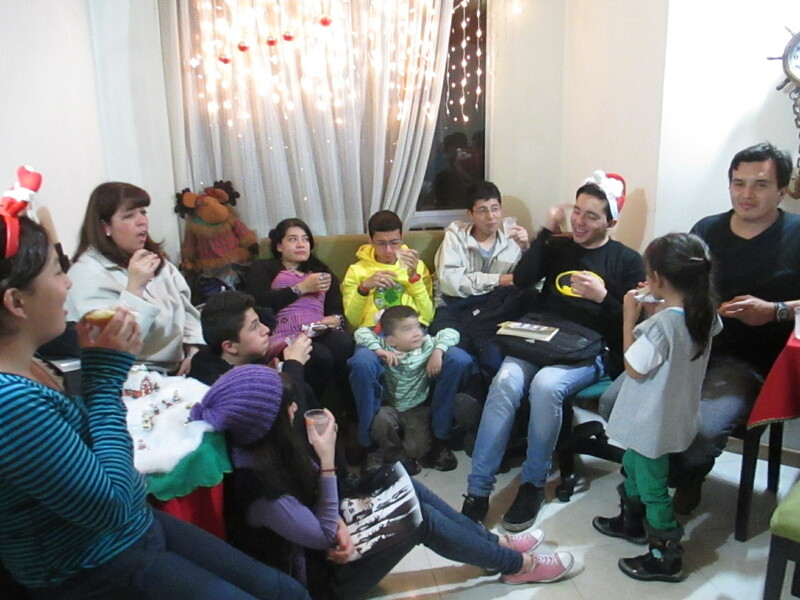 When we got back in Bogotá it was still the Novena season and I joined one of my co-workers family as they revisit the birth of Jesus and sing carols and eat with the whole family (from the nuclear family to the extended ones). Christmas is a beloved time in Colombia where family comes first. 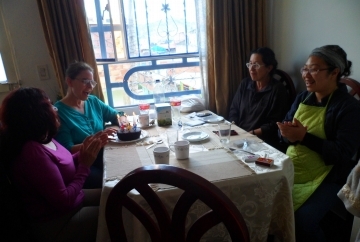 I learned that for the entire nine days before Christmas day, Colombians have family reunions and hosted by one member of the family per day (relatives) and on Christmas Eve they go to their parents’ house to culminate the celebration. On Christmas Eve, I went to celebrate with my Indonesian Friend, who is also a young adult missionary under the Mennonite Church. Like me, it’s also her first Christmas outside her country and we both share the same feeling of missing our own families. I am so blessed that God provided friends like her during this time. 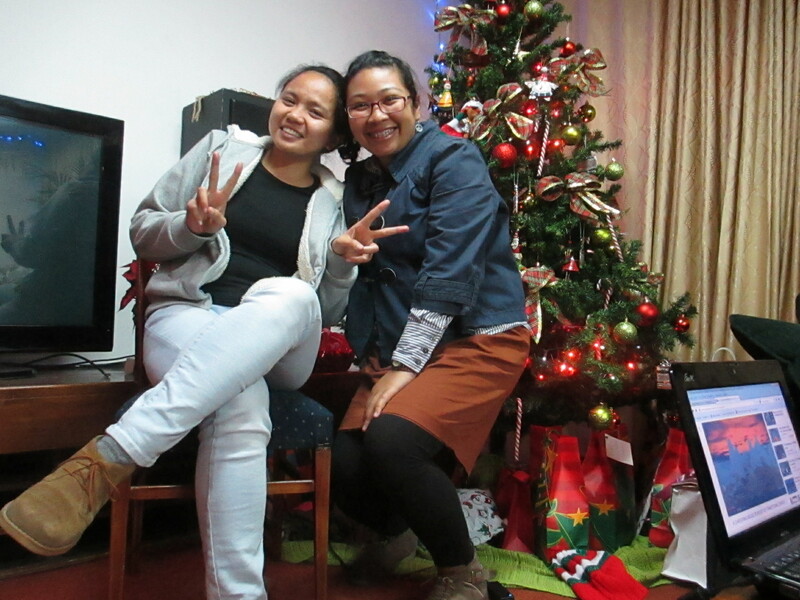 On Christmas Day, I had a Filipino Christmas with another Filipino missionary. 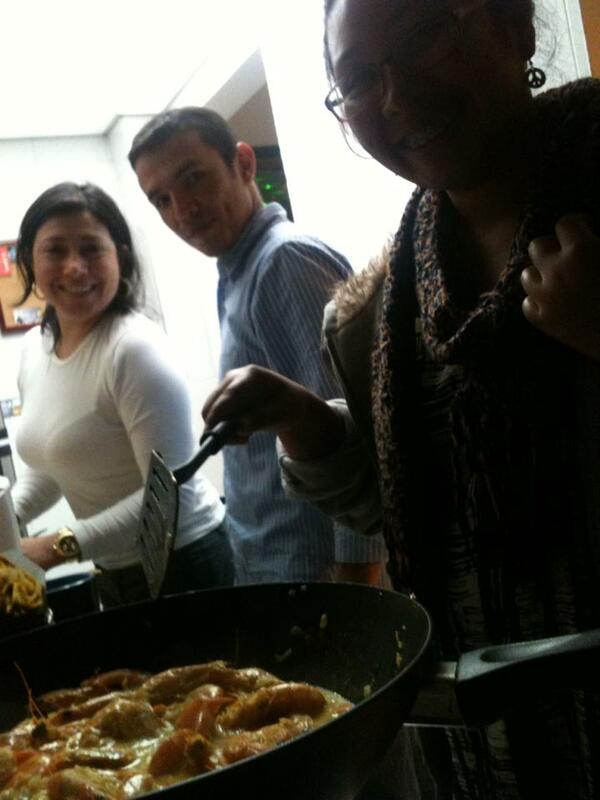 We cooked a famous dish Adobo and sang some carols, ate Pancit (dry noodles) and ate some more variety of food! 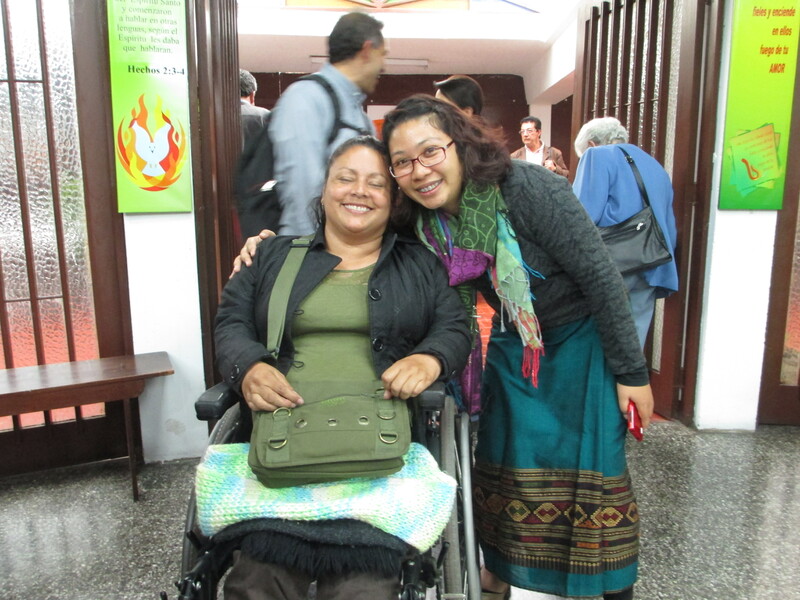 On the 26th I joined her with two more of her missionary friends and are both strong Christians. And that added to my close friends list here! On New Year’s Eve and New Year, I got to cook Asian cuisines with my pastor at the Colombian Methodist Church with his family and close friends. We had curried shrimp, seafood noodle soup, sushi, sticky rice… Plus, they gave me two packs of Filipino sauces from their friends. This holiday season, I received much more than I could ever thought or imagined early that year. Aside from financial and material gifts I received from supporters, friends, supervisors, I received the gift of good relationships. Jesus came to the world and incarnate into human flesh because of love. And love is the foundation of true and authentic relationship, God offers to everyone. There are eight days more left and we’ll be going back to work. Being in a new country, new culture, new people, new challenges, new opportunities, are both exciting and scary. There are so much things to be done and many things to learn. I am excited for new doors to serve through ministries like dance and martial arts. Part of it is also scary because of conflicts and oppositions along the way. With all these mixed emotions, I have one thing that would help me surpass all those–bravery. Seventeen months more and I know God has in-store great and amazing things in this ministry for the church, CEPALC, and the people of Colombia. And I want to be a part of that transforming wave! I love you and together, let’s have fruitful and faithful new year 2014!